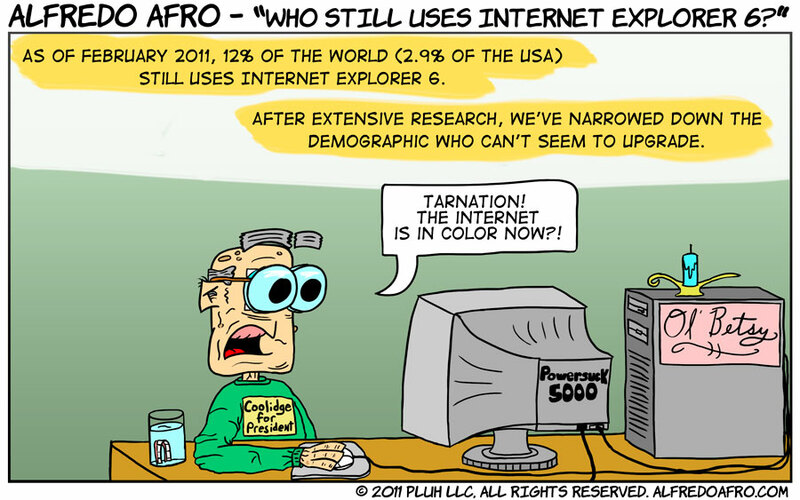 Who Still Uses Internet Explorer 6? Video game jokes? Web nerd comics? Isn't this supposed to be about bands and crap? I hate IE 6 as a web developer. I had to "hack" and "tweak" so many of my layouts to cater to that demographic that uses the latest build of "Windows 98 Plus!"